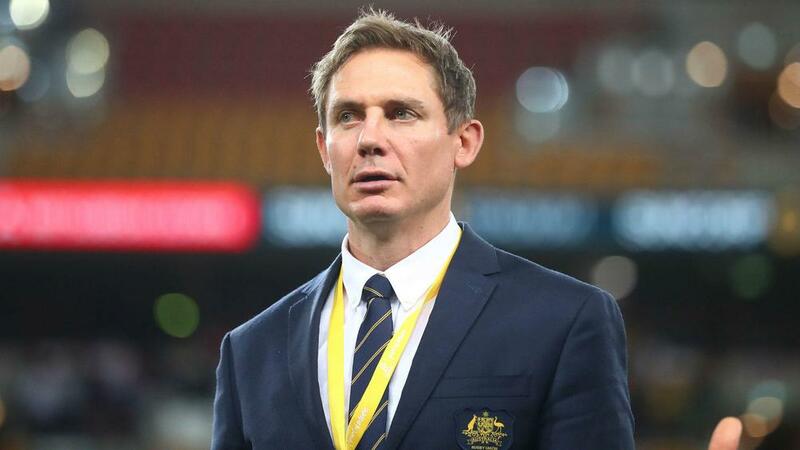 Stephen Larkham has been axed as Australia attack coach seven months before the Rugby World Cup. Larkham was appointed by Michael Cheika ahead of the last World Cup in England but has been relieved of his duties due to a difference in attacking strategy between himself and the coach. The 44 year-old former fly-half, who was part of the Wallabies team that won the 1999 World Cup, will remain in the Rugby Australia set-up, taking up a national coaching advisor role. Larkham's sacking comes after it was announced late last year that Scott Johnson will leave his role with Scottish Rugby after the Six Nations to take over as Wallabies director of rugby. "During the post-season review when they came back and obviously looked at the Wallabies performance, everyone identified that the Wallabies didn't play well enough [last year] or consistently enough and therefore deliver results," Rugby Australia chief executive Raelene Castle said. "So, when they sat down and had those conversations there was a philosophical difference between the attacking styles and, ultimately, they agreed that for Bernie [Larkham] to move on was the right thing to do. "Michael consulted with Scott and explained to him what he was going to do and his rationale, so he was involved in the process." Castle revealed that no decision will be made on a replacement for Larkham until after Johnson has started work.